Is This the End of China’s Second Housing Bubble? When the economy started to cool in the beginning of 2016, China opened up the debt spigots again to stimulate the economy. After the failed initiative with the stock market in 2015, Chinese central planners chose residential real estate again. And it worked. As mortgages made up 40.5 percent of new bank loans in 2016, house prices were rising at more than 10 percent year over year for most of 2016 and the beginning of 2017. Overall, they got so expensive that the average Chinese would have had to spend more than 160 times his annual income to purchase an average housing unit at the end of 2016. Because housing uses a lot of human resources and raw material inputs, the economy also stabilized and has been doing rather well in 2017, according to both the official numbers and unofficial reports from organizations like the China Beige Book (CBB), which collects independent, on-the-ground data about the Chinese economy. “China Beige Book’s new Q2 results show an economy that improved again, compared to both last quarter and a year ago, with retail and services each bouncing back from underwhelming Q1 performances,” states the most recent CBB report. However, because Beijing’s central planners must walk a tightrope between stimulating the economy and exacerbating a financial bubble, they tightened housing regulations as well as lending in the beginning of 2017. Research by TS Lombard now suggests the housing bubble may have burst for the second time after 2014. 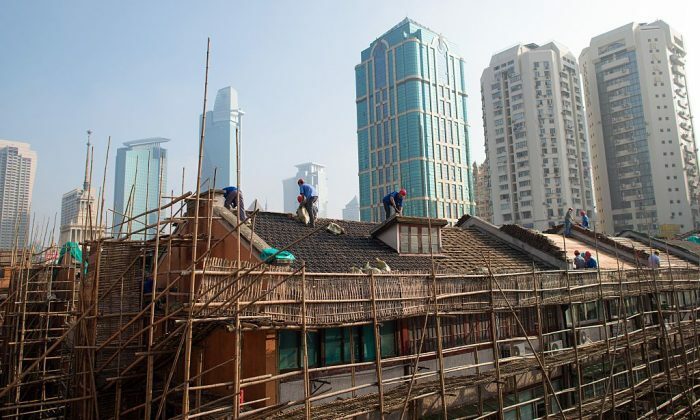 “We expect the latest round of policy tightening in the property sector to drive down housing sales significantly over the next six months,” states the research firm, in its latest “China Watch” report. One of the major reasons for the concern is increased regulation. Out of the 55 cities measured in the national property price index, 25 have increased regulation on housing purchases. In Beijing, for example, some owners of residential real estate can no longer sell their apartments to private buyers—instead, they have to sell to businesses, because their apartment has been marked for business use by the authorities. Other measures include higher down payments, price controls, and increasing the time until the unit can be sold again. “First- and second-tier cities have enacted such draconian measures that it is nigh impossible to buy or sell a property,” states the report. Although the central bank left its benchmark mortgage lending rate unchanged at 4.9 percent, banks have increased the rates they charge on mortgages to as high as 6 percent and, in some cases, have stopped giving out mortgages altogether because they have used up their quotas set by regulators. 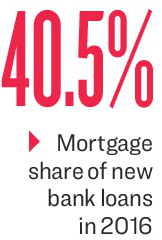 The People’s Bank of China wants to lower the share of mortgage lending to 30 percent of new loans, which should influence new demand for housing. 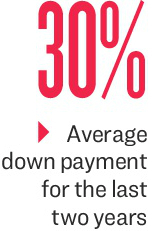 “Unlike 10 years ago, when most Chinese households made a 50 to 70 percent down payment to buy a new apartment, more than 80 percent of borrowers in the past two years have put down 30 percent or less. With reduced mortgage funding availability, we believe it is unlikely that households will be able to finance their purchase through savings,” states the TS Lombard report. So far, the slowdown in larger cities has been offset by more activity in smaller cities, which haven’t implemented as many tightening measures. “Overall revenues and profits plunged in Tier 1 cities, with the slowdown concentrated primarily in the Beijing and Shanghai regions. Hiring stagnated, while cash ﬂow worsened across the board,” the China Beige Book says. However, TS Lombard expects smaller cities to follow the bigger cities with more restrictive measures for property buying, which will ultimately lead to a decline in housing transactions, if not prices outright.